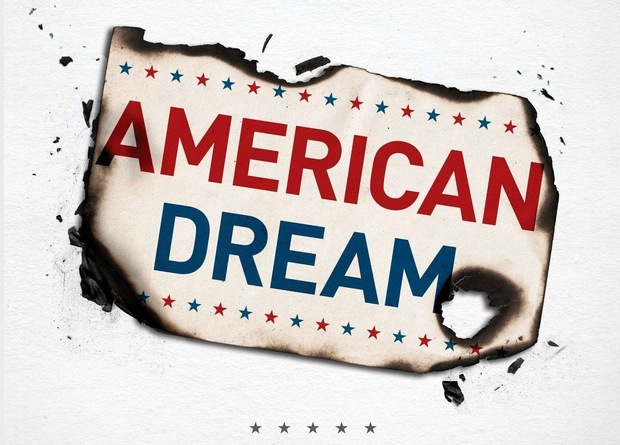 I don’t spend much time offering my thoughts and reflections on the American dream-centered church, which some identify as the preachers of the “prosperity gospel”. Their message is basically focused on God wanting you to be healthy, happy and have lots of money. Well, there is the actual factor that God wants us to be whole, fully restored – and that will be done when all things are summed up in Jesus at the final consummation of all things. But there is a difference between that authentic storyline and the prosperity mirage. You can see the clip here, including someone adding in a little Bill Cosby response clip at the end. But it was weird watching the clip. I could only grimace with embarrassment for her. However, I’d like to take this opportunity by having us all reflect on just how spiritually anthropocentric, or human-centered, we really are in America. Not just those 25,000+ who sit in a Osteen-led service in Lakewood week by week. But the many of us who have truly had the wool pulled over our eyes in this regard, so much so that we don’t really see the undergirding foundation for what it is. Now, let me go ahead and say I don’t consider myself one of those preachers. The ones who can’t even see the glass as half-empty in regards to Christian spirituality in America. Some folk aren’t even sure there’s a drop’s worth of water in the glass. That is not where I’m coming from. Nor am I preaching for a return to a former glory-days era, since we live in today’s world, as opposed to 100 or 200 years ago. And I’m not a legalist who wants to micro-analyze every aspect of such things as our worship music and services (as if those are the factors Jesus had in mind when he imagined the church). But I’ve begun to notice an overwhelming sense of how truly human-centered we are in so much of our spirituality. One of the main ways I see this is in our actual proclamation of the gospel. Look at our message of personalized salvation. Check out the emphasis: you are a sinner, you need to repent, you need to believe, God loves you, God wants a personal relationship with you, etc. Interestingly enough, we never really see such a you-centered, human-centered proclamation on the pages of Scripture. Not just in the details of the actual message, but also the striking prominence and persistent use of the singular pronoun you. My contention is that it’s not just Victoria Osteen telling us “you’re obeying God for you.” We’re also constantly telling them that the gospel is about you, evidenced in the statements in the previous paragraph. Both are problematic – Osteen’s and our message. It’s just the latter has become acceptable in our modernist, western society. 1) What good news (gospel) is proclaimed? What good news are people called to believe? Simply put – that the kingdom of God has come. Ok, what does that mean? People will talk about the rule of God (or maybe they have a very ethereal idea of the kingdom of God, like it’s a palatial city up there somewhere). But what was primarily being communicated was that God was about to act in history, both in judgment and deliverance (salvation). But it was God that was going to act in Jesus. That’s where the gospel starts – not with you. The rule of God was being made real on earth as in heaven, and this was going to take place in the coming of God’s Messiah, kingly Son. The pathway was going to be laid through the words, teachings, actions, miracles of Jesus. Interesting that nowhere do we find on Jesus’ lips a gospel that says – You can have a personal relationship with God. You can have your sins forgiven. You must believe he died for your sins. Now, all of those things are true and good. Please hear me. We can, and should, teach these things. Yet they’re not where the gospel starts. And, whether we like it or not, if we do start there and mainly stay there, we are nearing a human-centered approach not to distant from the Osteen’s. But this is what we’ve been wrapped up in – primarily focusing on a personal relationship-salvation and not proclaiming what the actual gospel is – that in Christ, the story is coming full circle, it’s concluding (“the time is fulfilled”) and that God was going to act in history. God was going to show that he is who he has always been – King. 2) What kind of group is Jesus talking to? We miss this greatly as English-speakers, but when the Bible focuses on people, it doesn’t start with individuals, but rather community. We don’t catch this because, whereas most languages have a “you plural form,” we English-speaking folk use the word you to speak of both a singular person and a group of people. Mind you, we have the phrase you all (or y’all in the south). But that’s just it, our English Bibles never use you all. Ever. And it probably should use it to clarify. Jesus (or Mark’s gospel-shaping account) speaks to a community. Not just 72 or 312 people standing there as Jesus made the statement recorded in Mark 1:15. But rather the words rolling off a page (or scroll) to tens, or hundreds, of thousands making up the Christ community of that day. But, in our modern, western context, we read all the “you” statements as statements to individuals. Yet those you’s of the Bible are mainly community-oriented. The call of the gospel is to a community, the community of those who were already identifying as God’s people – at least in Jesus’ day that was certainly true. The story played out that way – with God calling Abraham and his family, of which a whole nation would follow. And God’s Messiah would follow from that man’s line, the Hebrew people. Here’s an interesting side point, though somewhat related – every single individual written of in Scripture was done so in a way to evoke a community response. That’s key to remember. The story of Abraham is not so much there to show how you, too, can have an Abraham-esque experience (although you might and I’m not negating the individual response here). Rather it’s done to stir a larger context of people. The same with Moses or Joshua or David or Isaiah or Paul. These guys are simply spearheads for the community of God’s people. So the kind of group Jesus is calling to is a community of Yahweh’s people. Of course, individuals need to respond and will respond. But that’s the biblical model – the personal flows out of the communal. In our context, it’s normally opposite – the communal [might] flow out of the personal. Hence, why many a Christian’s motto might just be: “me, Jesus and my Bible.” That’s the modern day Trinity, mind you. But the personal was always second to the communal. That’s the gospel call in its original context. So, what would it mean for a community to, by faith, embrace the gospel message that the kingdom of God has come near and that God was about to act in our day and time, both in deliverance and judgment? Yes, I need to appropriate that message as me. But what if a larger community appropriated that message and, by faith, knew it was true together? The community temple indwelt by the Spirit (because there is actually no Scripture reference to individuals being temples of the Holy Spirit) actually living in light of the reality that, yes, in a post-Christendom, post-modern day, God will act in bringing deliverance (salvation) and judgment, that God is going to make things right as they were meant to be. This all goes back to Victoria Osteen and the pinching of our nostrils as to block the stench of such a despicable message. Sure, her message is a little more easily detected because it associates the gospel with a kind of American-dream spirituality. It has not much to do with the actual rule of God. But I am starting to recognize that our own human-focused message of the gospel, as told through the lens of personal salvation for you, you and you, actually falls short. Sure, the message will maintain the status quo for now. It will appease religious folk of all types, especially in my area of the south. And America still has another handful of years, maybe a little more, before it shifts fully into a post-Christian, post-modern society. But if we are actually going to get this better, and impact society today, we will have to re-shape our gospel message and do it quickly. There will still be some practical things to think through. But, just as the predominant human-centered approach of the gospel needs to change for the Osteen’s, the same stands true for most of us. And we’ll find much more fruit in asking questions of how to practically appropriate Jesus’ statements about the gospel (ala Mark 1:14-15) than we will with wishing we could stick with the personalized salvation message that has been upon our lips for quite some time. This entry was tagged America, church, devotional, gospel. Bookmark the permalink.